We felt that skincare lacked in high end and natural products that replaced standard chemical peel products and laser-tech machines that can leave skin feeling very vulnerable. 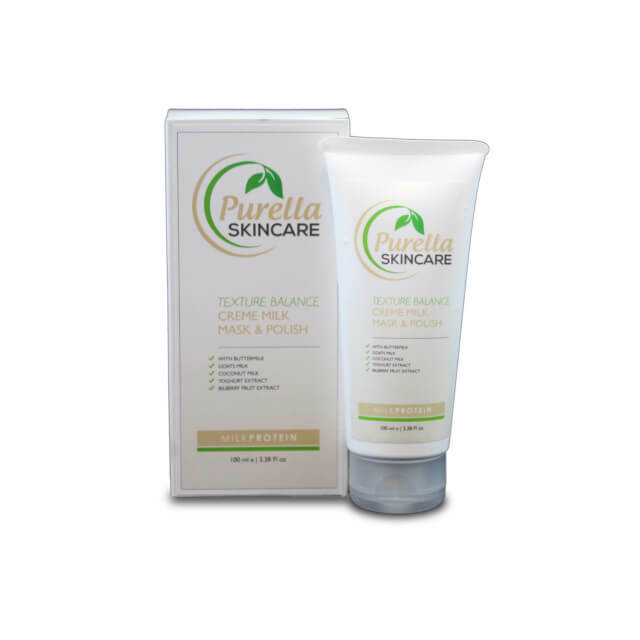 Purella are proud to introduce a carefully thought-out organic natural texture balancing skincare range that combine the purest milk protein ingredients with anti ageing plant extracts that polishes the skin naturally, leaving it glowing with health, brightened and completely smooth. Our Texture Balance Milk Protein range is perfect to help brighten and even the skin tone.